In my house we try to read for fun as much as we can. And that means that I tend not to pay attention to the awards that books are given... I go off of what looks fun at the library, or recommendations from friends, family and teachers. And let's be honest, some of the books that receive Children's literary awards just do not draw you in with the covers (most of the time, there are exceptions...). I was pleasantly surprised while on a recent visit to the library to find a Caldecott medal honoree that grabbed at my attention, simply by the cover picture. 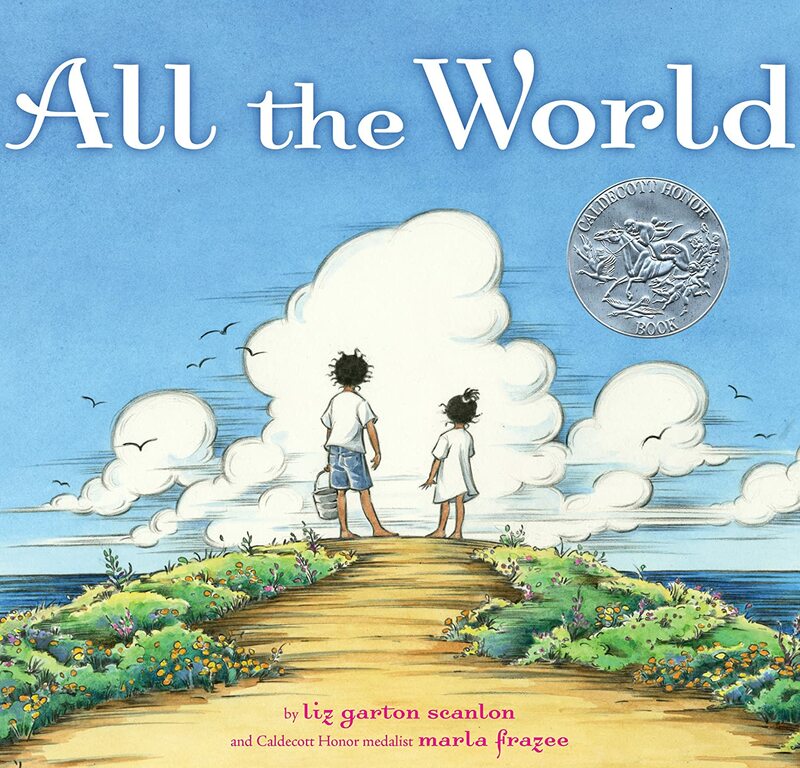 All the World by Liz Garton Scanlon boasts a calming cover with two kids on a well worn path looking at a gorgeous blue sky. The book just screamed summer to me, and after this never-ending winter, I grabbed at the book. I was equally pleased with this picture book and it didn't let me down. The gorgeous art continued page after page, and the words on each page were easy to read and kept the attention of both my two year old and five year old. The idea that for kids, every event is an all-consuming event seemed to be the focus of each page and reminded me when I could focus more single-minded-ly on events and really enjoy them because of this child-like attitude. This book was a hit because after we read the book once, we went back through and talked about what was going on in the pictures. And that is always a super fun way to keep a book going for a little longer. We talked about the colors of the sky, and the event that was captured on each page. It was a ton of fun. I think this would be the perfect book if you are moving your smallest readers out of board books and want them to be fascinated with the images of longer picture books because there are not many words to read. And as it kept the attention of my five year old, this could easily be added to a preschooler or kindergartner's bookshelf as a book to discuss illustrations and children's emotions. 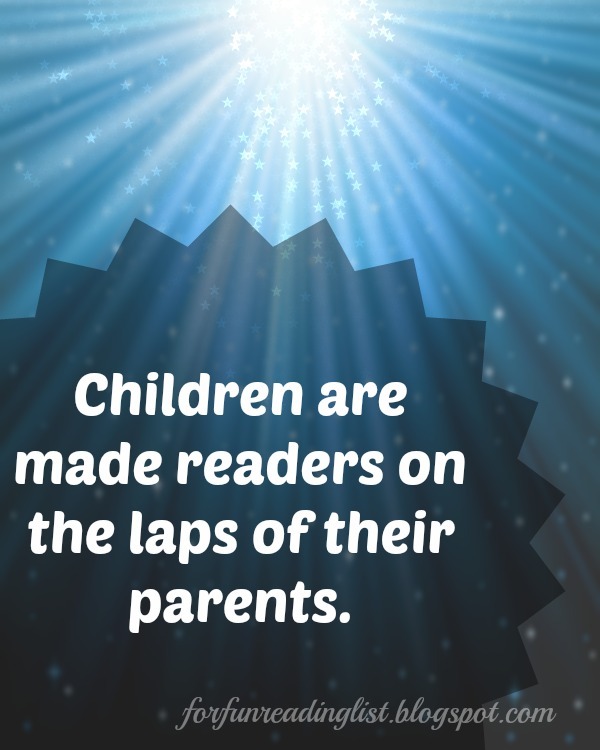 Do you try to read award winning children's books to your kids? Do you spend time soaking in the illustrations of books or simply read through them with your kids? Join the conversation! Looking to add this book to your home library? Consider using my affiliate link below and supporting Reading List in the process. Thank you!